There are many conditions that affect the spine. Below are some of the spine conditions that we treat at Neurological Center of Northern Virginia. A herniated disc occurs when one of the small, spongy discs that cushion the vertebrae bulges or breaks open. This condition, also known as a slipped or ruptured disc, can affect any part of the spine, but is most common in the lower back. A compression fracture is a broken vertebra in the spine. It usually occurs due to severe trauma, but is also the result of cancer or osteoporosis. Compression fractures are most common in the vertebrae of the lower back. The treatment for a compression fracture is kyphoplasty. Degenerative or Discogenic disc disease refers to the normal breakdown of spinal discs as we age. A sudden injury leading to a herniated disc may also begin the degeneration process. The condition causes back or neck pain and can lead to osteoarthritis or spinal stenosis. Kyphosis is a progressive disorder that causes curvature of the thoracic spine in children and adults. It is most often the result of developmental problems, trauma, degenerative diseases (such as arthritis) or osteoporosis with compression fractures. Scoliosis is a lateral curvature of the spine. Instead of the gentle inward and outward curves of a normal spine, scoliosis produces an “S” or “C” shape. The condition is primarily congenital, but also results from traumatic injury or osteoporosis. Spinal stenosis is a narrowing of the spinal canal, which places pressure on the spinal cord. While the condition can affect any part of the spine, it is most common in the lumbar and cervical regions. Some people are born with stenosis; others develop it as they age. Spondylolisthesis is a forward slip of one vertebra in the spinal column and usually occurs in the lumbar region. Some people are born with a defective vertebra; in others, trauma, a stress fracture, infection or disease may cause the problem. The condition is on the rise among children and adolescents who are active in athletics. Radiculopathy is a disease of the spinal nerve roots and spinal nerves. Cervical radiculopathy affects the nerve roots near the neck and radiates through the arms and hands. Lumbar radiculopathy causes nerve irritation in the lower back that radiates through the legs and feet. 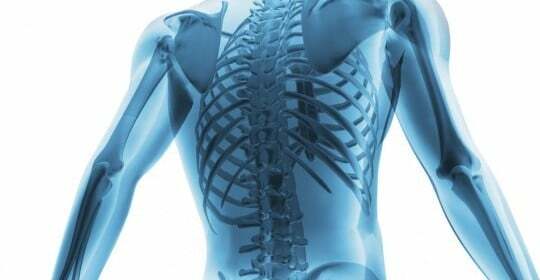 Wear and tear, degeneration, herniated discs and traumatic injury are the primary causes. Low back pain is by far the most common spinal complaint among adults in the United States. It affects the back anywhere below the ribs and above the legs. Causes include overuse, strain, injury, compression fracture, aging, and diseases such as arthritis and osteoporosis. Neurological disorders are diseases of the brain, spine and the nerves that connect them. There are more than 600 diseases of the nervous system, such as brain tumors, epilepsy, Parkinson’s disease and stroke as well as less familiar diseases such as frontotemporal dementia. There are many conditions that affect the spine and cause Back Pain including Sciatica, Stenosis, Discogenic or Degenerative Disc diseases and issues. We successfully treat a number of spine conditions at Neurological Center of Northern Virginia.